WOO HOO! I know right, finally a blog post. It's only been, like forever. If only y'all knew how insane the past few weeks have been. To top it all off, Houston is practically completely under water and so many friends and family's homes are underwater as well. So many people have lost EVERYTHING, and it breaks my heart. I have never seen something like this, so it's so scary. My sister and I are at school in San Antonio, so we aren't experiencing it completely, but we are sending prayers to everyone back home. I do want to say that if you are reading this, and you can in any way donate to those that were affected (so many); please do so! I PROMISE it would mean the world. Today's post is the perfect little due. Fifth & Ninth sent over the cutest beauty bank (HELLO, it's gold!) and phone case. I am obsessing, y'all have no idea. 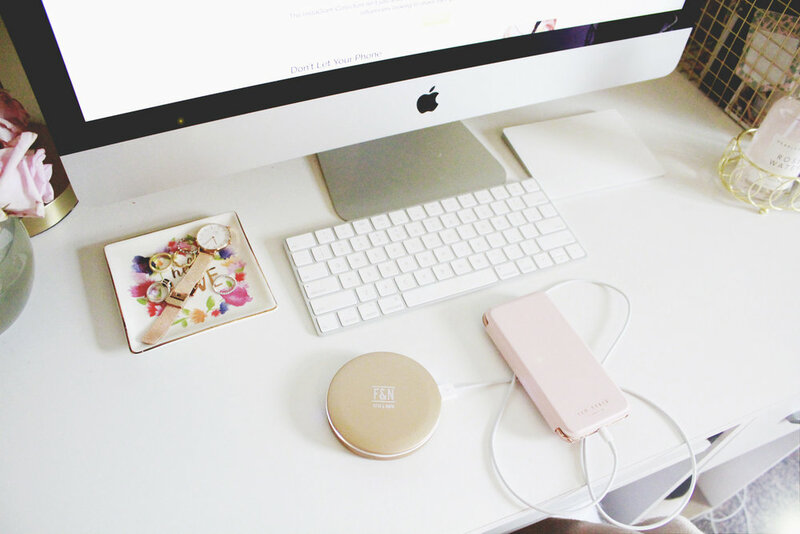 This is the easiest thing to carry around, and we all could use a back up charger on the go, right? 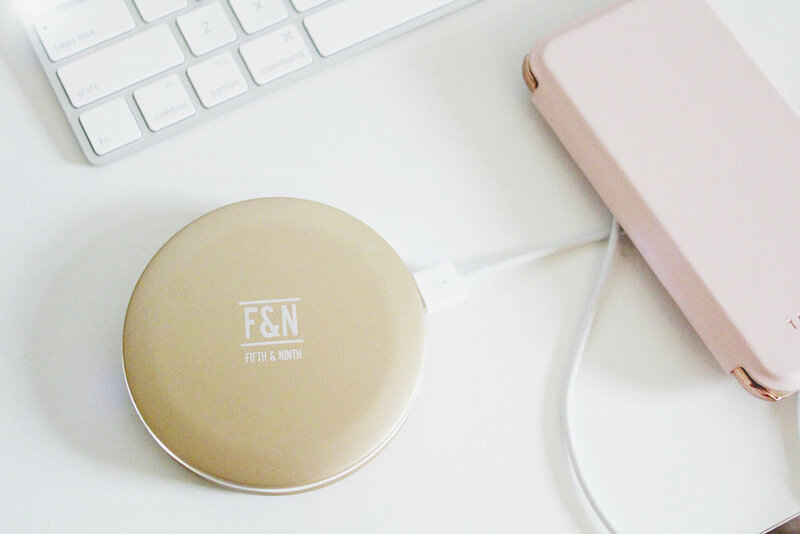 Guess what, it's a compact mirror, too! I was so excited when Fifth & Ninth reached out to me, because I had seen my fellow blogger babes with it and was totally in love. This compact mirror has an LED light, and charges your phone. Everything you could possibly need in one! It's so lightweight, too. Makes it super easy to travel with. There's also a ton of colors to choose from! They also sent over this Ted Baker phone case! It's the prettiest blush shade with rose gold along the edge. I love that it has the flap on the front to keep the screen protected, and it has a mirror on the inside too! I haven't taken it off my phone since I got it, I love it! Check out the beauty bank; here! Check out the Ted Baker phone case; here! Thanks so much for stopping by, see you in my next post!